SMARTINERGY is a comprehensive, standards-based integration platform that can be configured with any combination of components for a customized energy software footprint. It strictly adheres to industry standards related to energy data communication between partners and systems. It requires minimal proprietary knowledge and leverages secure and efficient messaging channels. 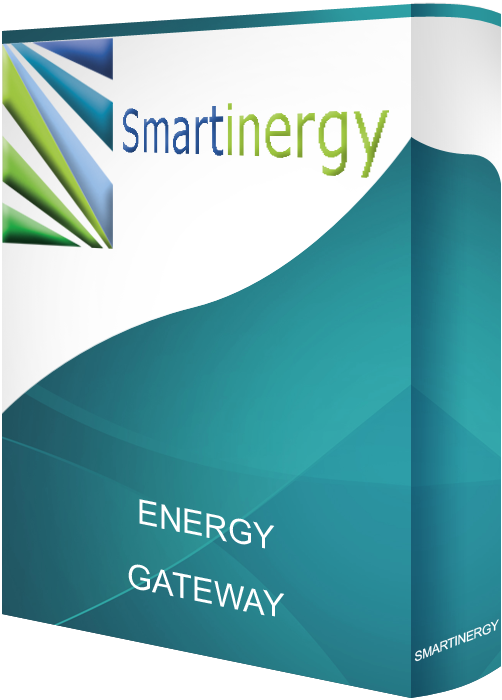 SMARTINERGY reduces operational costs, by leveraging existing systems and automating manual processes. Examples include meter data management or invoice checking, which are often error-prone and time-consuming tasks that can be automated. Most importantly, SMARTINERGY increases agility to meet dynamic business needs, including new opportunities on energy markets. It provides support for a corporate energy use and costs monitoring and serves as a gateway to energy efficiency management. Collect consumption from meters. Consolidate information from various industrial automation systems such as SCADA, OPC or Profinet. Get real-time energy prices from exchanges and brokers. Integrate those data into your energy management system. Transform those data into meaningful actions. Demand response programs provide incentives to decrease electricity consumption or shift it from on-peak to off-peak periods. We provide communication workflows between energy managers and plant operations and align price signals with your production constraints. An important part of your sourcing cost relates to the level of risk you represent for the transport operator. You may benefit from lower energy costs by making more predictable consumption forecasts. Our automated systems allow short term nominations and longer term capacity planning. Get connected to energy markets, grid operators and energy suppliers. Communicate with major players, manage your orders and compute your portfolio value. Get alerts and check risk levels when opportunities occur. Get a confirmation of your deal and integrate back-office operations. Store energy content such as contracts, invoices, confirmations and reports into a centralized content management system. We leverage any system your company is using, such as Sharepoint or OpenText. This simplifies the certification of your energy management to the ISO 50001 standard. Integration between systems is notoriously time consuming and many projects fail to deliver. SMARTINERGY allows messaging and integration between internal and/or external systems. We use open standards and connectors to enterprise solutions such as SAP or trading systems.